C. Shirock is no stranger to the music industry, as he comes from a musically inclined background. But, being in a band with other members versus doing it all on your own are two very different conquests. Nonetheless, music has always occupied a huge place in his life, and we think it’s time you knew more about him. Chuck – yes, that’s what the “C” stands for – is the oldest of four siblings. At an early age, music began to fill the lives of all four siblings, due in giant part to his parents. “I think I was around 3 or 4 years old when I first started…and of course growing up, there were many times we all hated it!” Chuck admits. But, it wasn’t until his teenage years when his father gifted him his first guitar that he really began to hone in on his musical talents. Shortly after, he began his first band. Song writing is what separates the artists from everyone else. Chuck’s songwriting process is both methodical and intense. But, not every song comes that easy. Chuck compares these songs to “running a marathon”. Along with the songwriting process, discovering ones sound is one of the most difficult, yet uplifting, aspects of chasing musical dreams. Being able to create your own sound based on the artistry that inspires you is one of Chuck’s favorite things about continuing to find his sound. Chuck says he’s been able to construct his sound, based on artists he’s grown to be inspired by, such as Depeche Mode, U2, Sia and Adele to name a few. 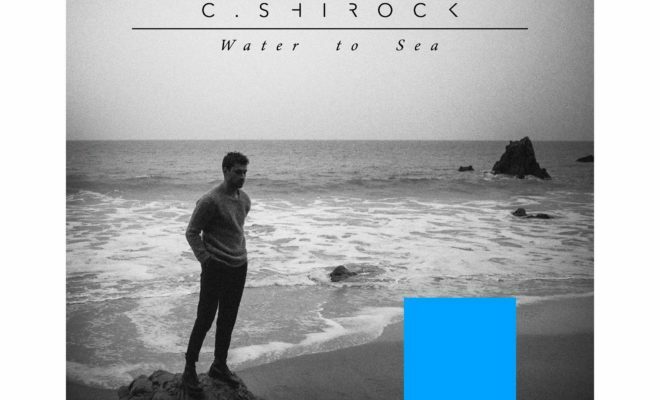 C. Shirock’s latest single, Water to Sea is just the beginning of his latest musical journey called 11, which is set to release on November 11th. This project is unlike anything else Chuck has ever released, solely because of the different sides of him you’ll hear. “Each song will have remixes from different DJ’s, piano/acoustic versions, and I’m working with different music video directors for each song also,” Chuck says. Check out an INCREDIBLE playlist Chuck compiled of some of his favorite songs right now!